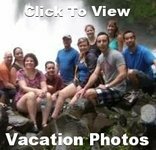 Join our Singles Travel group on this Italy singles vacation that starts in Rome and travels the Amalfi Coast, said to be the most spectacular drive in Europe. Visit the spectacular towns of Sorento, Ravello and Positano and view unmistakable clusters of white, tightly packed houses rising up the hillside dominated by beautiful cathedrals. Discover Pompeii and the island of Capri. Each destination is as fantastic as the last and Southern Italy will inspire the imagination and create unforgettable memories. On arrival at the Rome airport (remember you are flying home from Naples NAP), take the provided shuttle to the group's hotel. 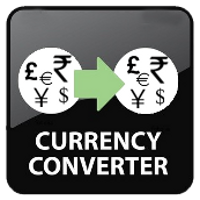 To give everyone a chance to arrive, no activities are planned, but optional tours will be available. Our Italy vacation will begin at 7:00pm with a meet and greet and a walk to a local restaurant. See Rome on the hop-on hop-off open-top double decker bus! This morning enjoy a full 360 degree panoramic view as we drive around Rome. We will hop off at the Trevi Fountain and the Spanish steps for some coin tossing and stair climbing. This afternoon is free to hop on and off at any of the stops and spend as much time as you like at each attraction. Visit the Colosseum and Roman Forum Rome or take a tour of the Vatican. With bus departures all day, and numerous stops, you'll see the highlights and experience it all. Tonight enjoy our Welcome dinner at a local Italian restaurant. Morning departure from Rome. 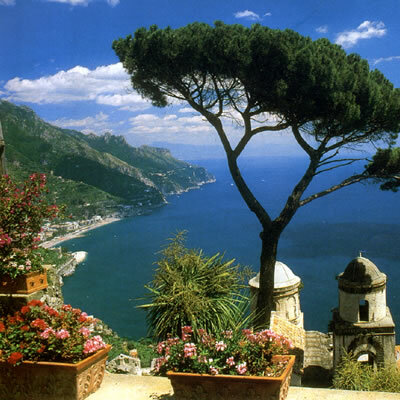 Enjoy the beautiful scenery as we get our first glimpse of the Amalfi coast. The Amalfi Coast offers one of the world's great drives so get your cameras ready. The winding cliff top road offers breathtaking panoramic views at every turn. You'll gain respect for the Italian engineers who built the road and even more respect for our bus driver. As you catch your breath, notice the colors of the Mediterranean, a sheer 500-foot drop below. Set in a wide cleft in the cliffs, Amalfi is the largest town and perhaps the highlight of the coast. Amalfi was an independent republic during Byzantine times and one of the great naval powers, with a population of some 70,000. There is still the odd remnant of Amalfi's past glories around today, and the town has a quaint attractiveness with it's whitewashed courtyards and alleys that are fun to wander through. 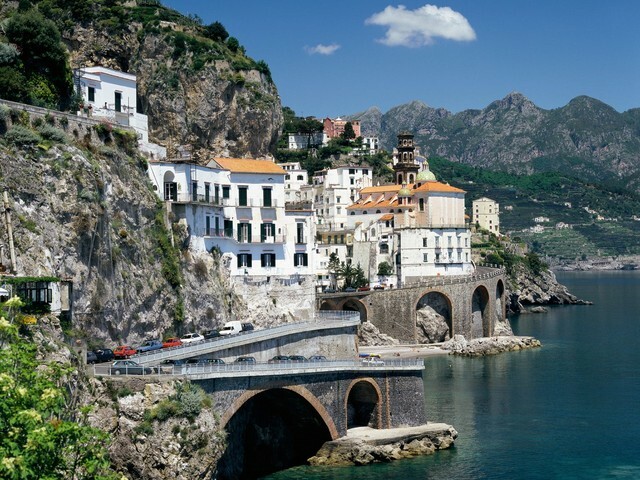 Spend the afternoon visiting the magic town of Amalfi, its history, art and culture. Amalfi, is a UNESCO World Heritage site featuring St. Andrea’s Cathedral, whose 57 steps will reward you with a great workout and a great view. The city is also home to the Museo della Carta, which introduces you to the art of paper making for which Amalfi is known. Amalfi was the first maritime republic of Italy and in the Civic Museum the Tabula Amalfitana, the first navigational code in history has been preserved. A cooking course is a truly unique experience. To travel and visit new countries also means to know the tastes and flavors. Our mid-morning lesson will consist of traditional Neapolitan cuisine with an emphasis on Amalfi recipes. This is a "demonstration" cooking course where you will learn about the natural ingredients used, which are fresh picked the very same morning of each class. Enjoy wine with your lunch that you helped prepare. A slow uphill drive along a very narrow road passing several wineries and olive factories, leads to Ravello and one of the most splendid views of the entire coast. Perched on top of the mountain cliff situated above Amalfi and Minori. Ravello, famous for its breath-taking views, natural beauty and ancient monuments are presented at their best in the gardens of Villa Cimbrone and Villa Rufolo (where our tour begins). In high season, these gardens are rich in sweet secants of blooming flowers, shadows of flora and perfume of lemons. Apart from the main cathedral, also situated in the square, and a history museum constructed in the basement of the cathedral, there are many other churches to visit given that there used to be a total of 13 churches in the village. After this wonderful experience we return to Amalfi for the night. 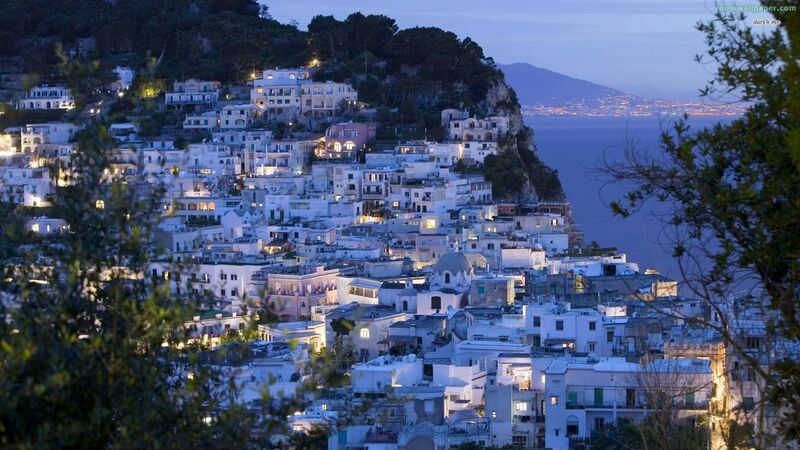 Let's check out Amalfi at night and have a nice dinner. 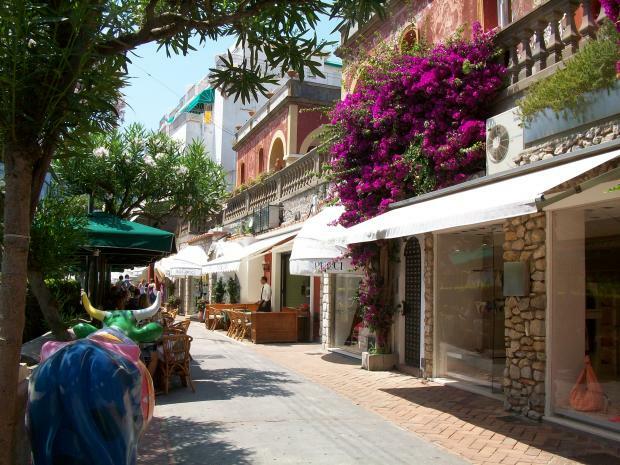 Enjoy a day in Amalfi, relax at the beach, walk around the town or do some sightseeing. Situated on the sea front, The Bussola hotel is in the centre of Amalfi and the Amalfi Coast. Saint Andrew's Cathedral, the town and the port, from which you can take a boat or the hydrofoil, are all in walking distance from the hotel. Our full-day boat excursion begins when we depart Amalfi and steer towards the nearby seaside towns of Maiori and Minori. Just beyond Maoiri is the marine cave called Pandora's Grotto, experience this beautiful natural wonder. Visit the nearby Marmorata Falls and view the majestic Ravello, the famous village of music, which is seated high on a cliff face towering over Amalfi. Sail along to the pristine enclave of Santa Croce and the Lover's Arch and onward to Conca Dei Marini where you can visit the Grotta Dello Smeraldo or the Emerald Grotto. Then you will sail by the Furore Fjord, cruise along the twin-mountain town of Praiano, continue towards the village of Positano, before steering out to sea to visit the mythical islands of Li Galli. The Amalfi Coast officially ends and the Sorrento Coast begins as we near Capri at Punta Campanella. Circle the island and visit the famous Blue Grotto (entrance optional), the Faraglioni rock formation and the White and Green Grottos before docking in Capri. Enjoy a few hours on the beautiful island of Capri, immerse yourself in the atmosphere of a coastal village inhabited by fishermen and sailors; explore marine caves; walk through masses of sheer rock and peer over precipices which drop dramatically into the sea; stroll through olive groves and orchards of lemon and orange trees; have lunch or browse through the boutiques, elegant hotels, artists studios, churches, and the remains of Roman villas.On the way back to Amalfi, stop for a swim in a picturesque location where it is possible to dive straight off the boat. Swim in some of the most beautiful waters of the Mediterranean, where the water is a deep blue color yet clear enough to see many feet below. Step back in time as we walk through the ancient city of Pompeii. A thrilling archaeological journey unfolds as we explore the ancient ruins which were buried in ashes after Mount Vesuvius erupted almost 2000 years ago. Discover the everyday life of Rome's Imperial age at this UNESCO World Heritage Site, and imagine the panic felt by the people in those last few minutes before the city was buried. After leaving Pompeii travel the coastal road to its furthest point to Sorrento. Spectacular views of the entire bay of Naples and the Island of Capri are revealed as the Amalfi coast road emerges from over the mountain cliff. Sorrento stands on a terrace of tuff and is a city full of vegetation (its lemon trees are very famous). The city is said to originate from ancient Greece, but the old town shows a roman origin. Positano is a province of Salerno and has been a vacation destination since the ancient Roman times. The town is built in a charming fashion on terraces on the steep rocks of the Monte Comune, and around a small, well-protected bay. The church of Santa Maria Assunta features a dome made of majolica tiles as well as a 13th Byzantine century icon of a black Madonna. Enjoy your last evening in Amalfi. Enjoy your last views of the Amalfi Coast when we travel to the hamlets of Atrani, Majori and Minori. Atrani is an isolated fishing village, away from the noise and bustle; it is also the smallest town in the Southern Italy. The distinctive white houses whose balconies are overflowing with flowers are built on the slopes of the surrounding mountains among the lemon orchards and reach down to the sea. Maiori lies at the head of the Tramonti valley and is said to have been founded by the Etruscan Lucumone Rehginna, whose name was given to both the stream that divides the town (Reghinna Major) and the main road (Corso Reghinna). After a stop for lunch in a restaurant along the coast, visit the town of ceramic… Vietri is a delightful town on a terrace overlooking the sea and is famous for its highly colorful ceramics that decorate most of the civic buildings and the facade of the Villa Guariglia… Villa Guariglia is an elegant and sumptuous villa located in Raito, a hamlet of Vietri sul Mare. Everything in the Villa is exactly the same as it has been left by the Ambassador Raffaele Guariglia: the pictures in the living room, the collection of painted and decorated mother of pearl fans (over 100), the silverware, porcelain, weapons and a rich library, composed by over 4000 books, some of which were written by the Ambassador. Onto Naples for an overview of the city and to check into our hotel. Tonight enjoy our Farewell Dinner! Say Arrivederci to all your new friends as your Southern Italy vacation ends and you are transferred to the Naples airport for your return flight home.